Admin Iron Man — Last Friday Commissioner of Administration Sheldon Fisher was skiing with his son at Alyeska and took quite a spill, shattering his collarbone. We’re hearing he had surgery Tuesday to put in several plates. The amazing part about all of this? Fisher was back at work yesterday. Wow. If such a thing is attempted this time, Lisa’s crew want to make it clear to any would-be protesters the vast vast majority of attendees support her. Republican Convention Prep (Part 2) — In politics, when one group gets a good turnout for their issue du jour, it almost always affects something (or someone) else on the ballot. and the GOP State Convention is no different. Murkowski’s push to get supporters to turn out will greatly impact who becomes the next party chairman. The major contenders right now are Tuckerman Babcock, Ric Davidge, and Ann Brown. Word is, Babcock is the chosen candidate of Chairman Emeritus Randy Ruedrich, and that he would support Ruedrich’s continued involvement in party management. Brown and Davidge are said to be splitting the vote of those who want to see fewer opportunities for Ruedrich to exercise influence. Look for a strong pro-Murkowski turnout push to favor Babcock—as a result, he looks to be the frontrunner. 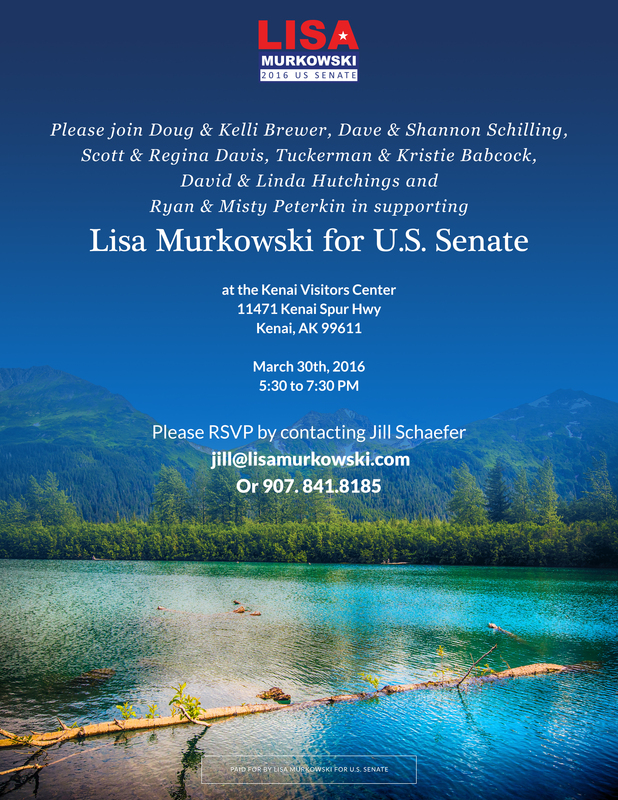 It’s not that Murkowski has any great love for Ruedrich, but look at the situation from the perspective of her, U.S. Sen. Dan Sullivan, U.S. Rep. Don Young, AK Senate President Kevin Meyer, and AK Speaker Mike Chenault. If you are one of them, you see Ruedrich kind of like President George H.W. Bush saw Saddam Hussein: you don’t necessarily like how he ignores the rule of law to brutally put down anyone who opposes him, but the thought of the crazy factions who really hate you running unchecked is far more frightening. From that perspective, supporting a strongman dictator is just the cost of doing business. Oh Bill — Don’t forget about the Democrats. 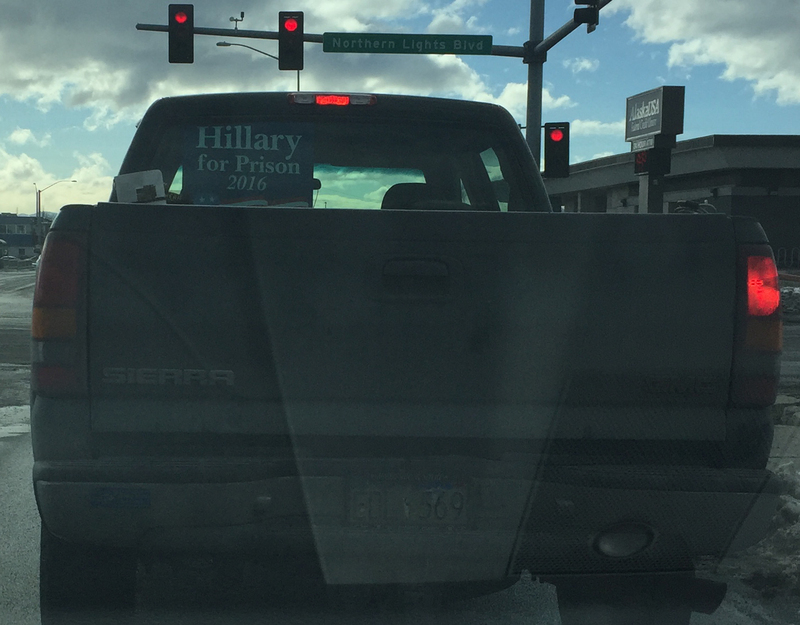 They are holding their Presidential Caucus tomorrow and just in time Bill Clinton has a message for Alaskans about Hillary. Thursday, March 10 at 8:30 a.m.
Thursday, March 10 at 1 p.m.
Friday, March 11 at 9 a.m.
Friday, March 11 at 9:30 a.m.
Friday, March 11 at 11:30 a.m.
Tuesday, March 15 at 9 a.m.
New To The Race — The race to replace State Senator Lesil McGuire is on. There are now multiple candidates in both the GOP and Dem primaries now that Democrat Forrest McDonald is kicking off his campaign on Wednesday. Robo-Gate — Last week we told you of the drama taking place at Alaska GOP HQ over robocalls. 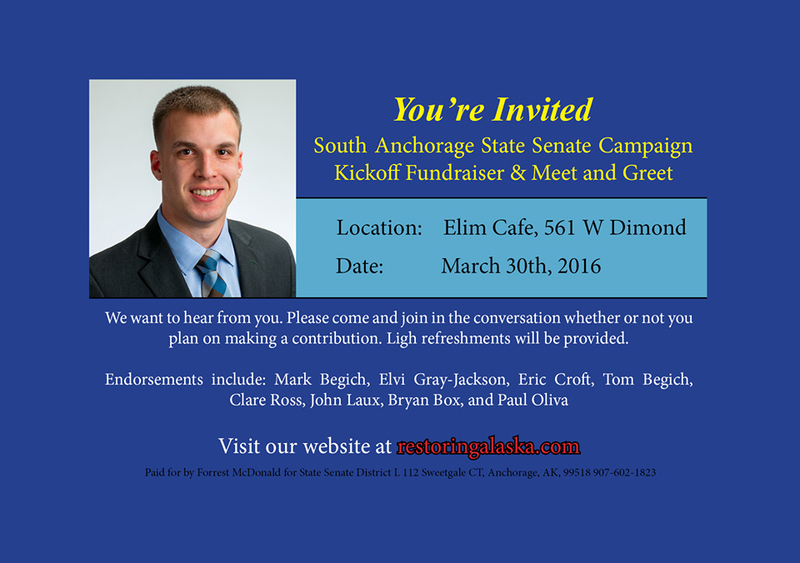 It seems Randy Ruedrich scripted and personally paid for a robocall to endorse candidates in the local Anchorage races using the party’s name that included some Republican candidates and excluded others, such as candidate for Anchorage School Board David Nees. The problem is no one who actually has authority to approve such a move, including party Chairman Peter Goldberg, formally approved. That put the party in quite a bind this week when Nees called the Alaska Public Offices Commission to ask if it was legal for someone to create, pay for, and distribute political ads for organizations that they weren’t authorized to represent. In order to avoid an embarrassing and public ordeal for the party, Goldberg was forced to pay Ruedrich for the robocall and tell APOC that the whole thing was thus party-endorsed. We’re hearing the fallout of the ordeal is that Ruedrich has been removed from the process of crafting the party’s final robocall in Anchorage races. But the ruling may actually have put the legislature in a bigger bind. You see, developer Mark Pfeffer is no fool. Before he spent a dime renovating the LIO, he had the legislature certify, in writing, that the process they were using was legal. I’ve talked to others in the development field and they all agree that means Pfeffer can now sue the state for the full $42 million cost (minus the money the state put in themselves) of the project since it turns out the state contracted with him and used an illegal process. The long and short of it is that Pfeffer may now end up with the state picking up the full tab for the LIO renovations and leave a glass-paneled palace that Pfeffer can lease to anyone he chooses, and the state would still need to pay for offices for the legislature somewhere in Anchorage. But hey, the Legislature thinks they’ve won, so you trust that, right? 1 Comment on "Friday in the Sun!!! (March 25)"
You are right- Pfeffer is no fool. He would not have relied upon the written certifications of non-lawyer legislators that the process they were using was legal. He would have done- and relied upon- his own due diligence by getting his own legal opinion from his own legal team. A judge ruled that the process was not legal. Pfeffer can sue all he wants, but good luck with that. p.s. In any case, my recollection is that he agreed to a clause that said, if the legislature failed to appropriate money for the lease, it would terminate. 2. Randy Ruedrich: Glad to see a person of such high morals and ethical standards will still be running the Republican Party if Tuckerman Babcock becomes party head. Perhaps this year he can send out attack letters on candidates. Like he did down in Ketchikan in 2014 when he smeared the independent candidate, generating such a negative backlash that even the well-regarded Republican candidate had to publicly disavow it. Ruedrich nonetheless cost the Republican candidate the election, as she went on to lose by a narrow margin. p.s. What does the Palin wing of the Party think about Ruedrich remaining in power?